How well do you know the faces at SOJ? 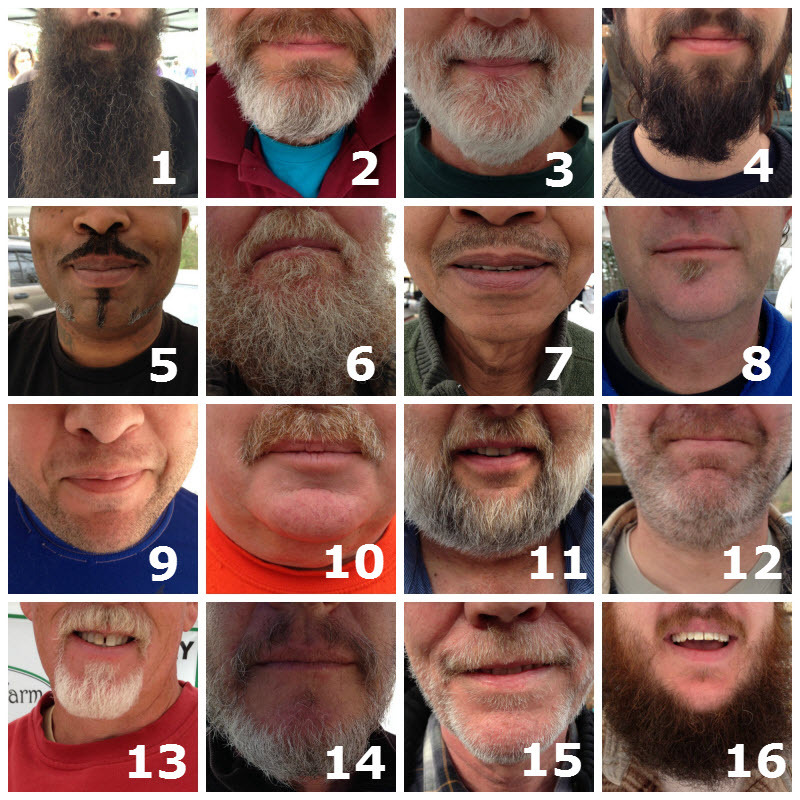 Match these beautifully bearded faces to South of the James Market vendors for a chance to win a $25 Gift certificate to GrowRVA’s markets. Details below. Match the faces in the image to these businesses. Comment below with your entry. For example “1) Old Church Creamery, 2) Mrs Yoder’s Kitchen… etc” or if you wish to keep your answers secret from the other contestants, email us. The person who gets the most correct answers wins. In the case of multiple correct entries, the winner will be randomly selected. Entries accepted until this Friday, March 28 at noon. The winner will be announced Saturday morning March 29, 2014. One entry per person. Congratulations Betsy! Nice work. You’re the winner. We put the winning entries in a hat and yours was the one picked out. Visit the GrowRVA tent at the South of the James Market to pick up your gift certificate.